We are in our second year of partnership with The Neighborhood School, Manhattan this year! 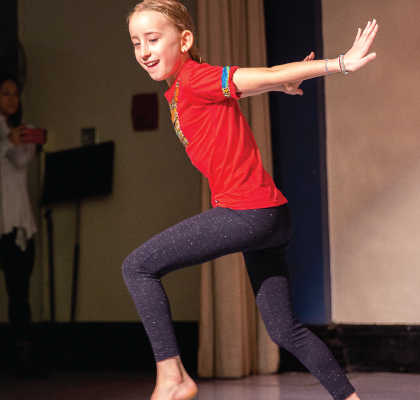 Students grades 2nd-5th had an opportunity to participate in a 10-week African Dance residency. Sessions will included traditional African dance fundamentals and rhythms such as Lamban, DunDunba, Sinte, and more. They were introduced to African dance terminology such as breaks, rhythms, and traditional African garb. Students practiced performance quality, weight shifts, and improvised movement based off of their knowledge of African dance. PreK-2, 283 students; 36% Hispanic, 11% Black, 5% Asian, 46% White, 3% Multiracial; 3% ELL; 41% economically disadvantaged; 24% special education.